Idaho’s state Board of Correction, after much agonizing, voted unanimously Monday to move forward with plans for a $500 million prison expansion, including submitting the proposals to the governor for inclusion in the budget that will be presented to state lawmakers in January. “We’re really almost at a declaration of emergency, really, to tell the truth,” said board chair Debbie Field. She said she met with Gov. 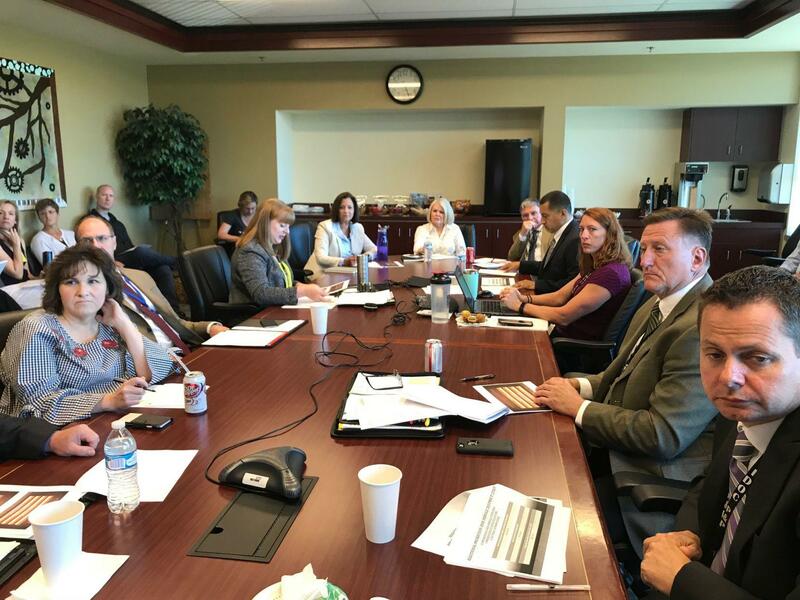 Butch Otter on Friday about a possible emergency declaration, and also met with Idaho National Guard officials about possibly housing overflow inmates in guard barracks at Gowen Field. The state has signed a contract to house up to 670 Idaho inmates at a private prison in Texas, but those beds won’t be available until the end of August. And even if it’s speedily approved, the big prison expansion would be two to three years out. But in the meantime, all of Idaho’s state prisons are at or above capacity, and that’s with more than 875 state inmates already being housed in county jails or out of state. “I just want everyone in this room to know we are pulling out and exploring every option we can in this process, every option,” she said. The board directed Atencio to present information as soon as possible to the state’s Criminal Justice Commission, so they know how dire the situation has become. Among the biggest drivers of the growth: Drugs. Just 20 percent of those newly sentenced to Idaho prisons in the past year were convicted of violent crimes. Half came in on drug offenses. And those newly sentenced criminals weren’t even the biggest group heading behind bars in Idaho. Nearly twice as many were parole violators, and most of them had committed new felony crimes — with drug possession accounting for three quarters of those new charges. Idaho now has the highest incarceration rate and the lowest violent crime rate of any of its surrounding states. Board member Dr. David McClusky said, “This is a disease. And in my field … we go out and find a cure for that disease and then we take care of it.” If the disease isn’t cured, he said, it’ll continue spreading. The prison expansion proposal calls for the entire new 1,510-bed prison to be devoted to special needs, from infirmary beds and mental health units to protective custody, a dementia and Ahlzheimer’s unit, and a relocated and expanded reception and diagnostic unit, through which every new state inmate passes for evaluation and classification. That would allow up to 900 beds at existing state prisons to be repurposed as those functions move out, and open them up to the general prison population. The proposal also calls for building a new community re-entry center in North Idaho, joining several already located in southern Idaho and one currently in the works in Twin Falls, for inmates who are nearing release and are starting to work jobs in their communities and earn restitution money; a 100-bed expansion at the St. Anthony Work Camp, where an old elementary school could be purchased and converted into a cellblock; and doubling the size of the existing Correctional Alternative Placement Program, to increase its capacity from 432 beds to 864.